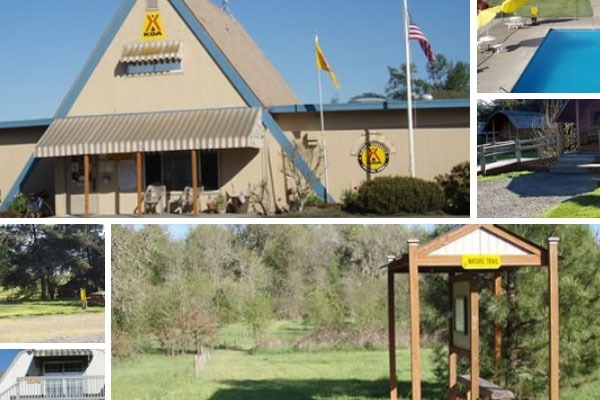 At Albany/Corvallis KOA, you'll have easy access to area attractions. Visit the many wineries in Linn and Benton counties. You're within 5 miles of Oregon State University and all of its sporting and cultural events. Albany's Historic Carousel & Museum is just 5 miles away. Check out some of the 700-plus historic structures that hark back to Albany's boom in the 1800s. Back at the campground, enjoy campfires all year and have fun in the outdoor heated pool. The Kamp K9 park is 4,000 square feet - right next to the entrance to this KOA's own nature trail. In July/August, enjoy berry picking or join in hula hoop contests and ice cream socials. The basketball court even has spectator seating. This campground is the perfect spot to begin your tour of covered bridges in Linn and Benton counties. Visit historic Thompson's Mills or travel to Marys Peak for breathtaking mountain views.